PM Modi has regularly been visiting his constituency lately. The Prime Minister will dedicate to the nation the International Rice Research Institute (IRRI), South Asia Regional Center (ISARC) on the campus of National Seed Research &Training Center (NSRTC) in Varanasi. He’ll also unveil a postage stamp on Maharaja Suheldeo and address a public rally in Ghazipur. However, senior minister in the Yogi Adityanath government and SBSP president Om Prakash Rajbhar, an MLA from Zahoorabad assembly constituency in Ghazipur, has announced that he will not attend the programme. “I will not attend the December 29 programme of Prime Minister Narendra Modi in Ghazipur,” Rajbhar had told reporters. He is reportedly upset over the commemorative postal stamp on backward caste leader Maharaja Suheldev Rajbhar not carrying his full name. All’s not well between the BJP and another ally, Apna Dal (S). The party is represented at the Centre by Anupriya Patel, an MP from Mirzapur. Patel said she stood by the remarks of her husband and party president Ashish Patel, who had voiced frustration with the saffron party over its “treatment” of smaller NDA allies. So this visit of PM Modi would see some local leaders shunning the event. The PM has regularly been visiting his constituency. Only last month, he was there to inaugurate the first multi-modal waterways terminal on the Ganga river. The terminal aims to develop the stretch of the river between Varanasi and Haldia for navigation of large vessels weighing up to 1,500 to 2,000 tonnes. He also received India’s first container vessel that sailed from Kolkata on inland waterways on October 30, carrying cargo. Then, he inaugurated two major national highways. The two roads have a combined length of 34 km and have been laid at a cost of Rs 1,571.95 crore. 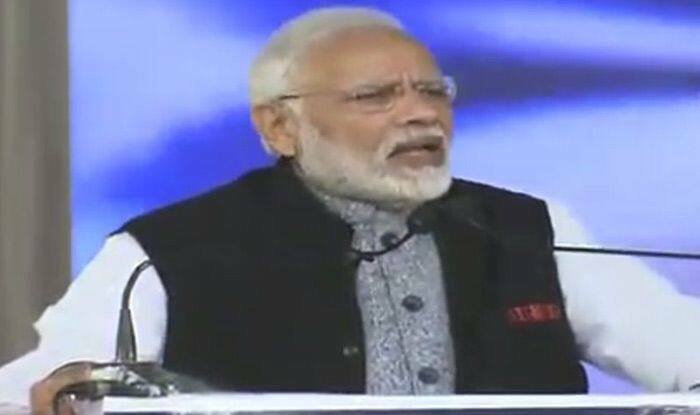 Yet before that, the PM had inaugurated various development projects, cumulatively worth more than Rs 500 crore, at the Banaras Hindu University in Varanasi. Among the projects were Integrated Power Development Scheme (IPDS) for Puraani Kashi and an Atal Incubation Centre at the BHU. The projects for which the foundation stone was laid include the Regional Ophthalmology Centre at the BHU. The event was held at the amphitheatre of Banaras Hindu University (BHU).